Top Finance Blog » Should You Have Health Insurance? I’ve covered it before, such as this post titled 3 Reasons Skipping Health Insurance Is Not A Risk You Should Take and 4 Reasons You Need To Look At Your Medical Bill. Everyone knows health care is expensive; some have insurance, some don’t, and many are mad at the government and its health care bill. I’m not. As a health care finance consultant, I know the benefits of having health insurance. I understand that it seems expensive to pay for, and I’m not going to deny that. For half of the population it’s either an expense they’re not going to need yearly, which means you paid money and got nothing in return. But for the other half, having health insurance probably saved their financial lives. It only takes a moment’s notice for a disaster to occur; I’m going to make my reasoning simple as to why you need to consider having health insurance. First, did you know that over 60% of the American population that files for bankruptcy has a significant medical bill on their list of obligations? Most people don’t try to take advantage of the posted options for trying to set up payment arrangements or try to get reductions on their bills, and there’s this truth which says people feel better later on, always find more fault with their health care treatment after the fact, thus don’t like how much they’ve been billed. Back in the day, medical debt barely touched your credit report or your credit score. 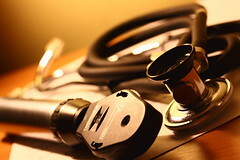 These days medical debt of all sized are counted against you as more health care facilities are reporting these debts. Also, these days if what you owe is more than $10,000, which is easily reached, then it becomes part of a bankruptcy filing. Second, did you know that even if you file bankruptcy and the court accepts it that it doesn’t mean the next time you need significant health care services that your local hospital has to take care of you, nor any of the other hospitals close by? They all have to provide emergency coverage, but what if you break your leg and then need physical therapy afterwards? They’ll all run your credit report and some of them won’t take a chance on you because you’re a horrible risk. At best you’d better hope you were in a car accident and that no fault pays for it, otherwise you’re in trouble. Third, let’s look at how much health insurance might cost you. If you shoot for a traditional Blue Cross plan it could cost you anywhere between $7,500 and $20,000 a year depending on where you live. That $20,000 is probably for a family plan in a state like California, and I won’t deny that’s pretty steep. Compare it to the cost of a mid level emergency room visit, attach to that the cost of a potential surgical procedure and just 2 overnight stays in a hospital… In some large cities across the country you’ve already hit $20,000 because all those things include incidentals like supplies and pharmaceuticals. Fourth, even high deductible plans end up being less than $15,000. That might sound like a lot, but inpatient bills can be out of sight. It’s easier to negotiate a fair payment plan on a lower dollar amount than something astronomical. There are lots of insurance choices, although they’re getting more limited as the federal government has started withholding funds to help plans offset costs. Still, it’s protection that everyone should have, and in most states there are options that aren’t that expensive, and you might even qualify for a discount on premiums. As with most things, not having health insurance comes with risks on both ends. If you’re healthy and you don’t take a lot of chances with your health, such as exercising, going out to dinner, etc, where something could happen to you, then you’re probably fine waiting on health care coverage. However, if you like to do anything where you’re not always in 100% control, such as walking outside and getting an animal bite, or like riding bikes and hit a patch of loose gravel, or pretty much doing anything else not covered by compensation or no fault, paying for some kind of health insurance will save you lots of money in the long run and give you a bit of peace of mind.